Hi, from now onward, MS4U blog will share some step on certain microsoft technologies. Just refer to any title 101. Step 7:- Run Validation Clustering test before Create cluster and make sure all test are "passed"
Step 10:- Within Failover Cluster, Add all the Storage disk. Step 11:- Configure Cluster Quorum settings by selecting the correct quorum setting. I'm using Node Majority. Step 12:- Create Cluster Shared Volumes and add Cluster Disk Data. 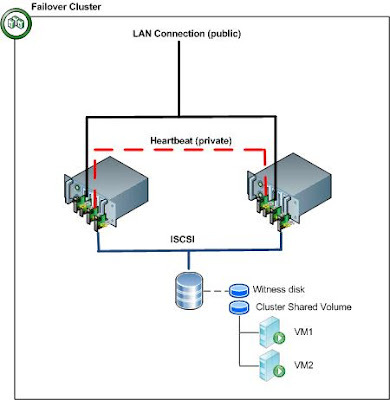 Step 14:- To create new VM, pls use Failover cluster snap in and point to the same location as step 13. That's concluded all the steps. Perform all the test for final checking.